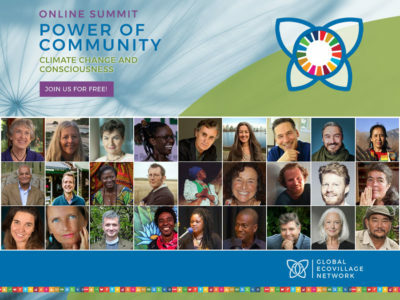 Anna Kovasna is a trainer, researcher and community consultant passionate about the cocreation of just and free societies where human potential is valued and the interconnectedness of life is recognised. Anna works as Education Director at the Global Ecovillage Network, developing tools, trainings and platforms channeling applied ecovillage research and experience in five continents into resources for those engaged in innovating and implementing regenerative lifestyles. She is also involved in several projects in the fields of sustainability education, ecovillage incubation and social entrepreneurship, and has done academic research on localisation and participatory community-building as tools for autonomy and social change. Having lived and worked internationally in several ecovillages, tribal communities and organisations, she has practical experience of facilitation, education, research and community development in a variety of settings. Originally from Sweden, Anna spent 5 years in the Findhorn ecovillage in Scotland, and now lives a nomadic life onboard a sailboat, exploring sustainability, conscious living and active citizenship at sea. Some of the things that make her feel particularly alive are dancing, hiking, cocreating with peers, and swimming in wild seas and rivers. Ecovillage Design Education at Schloss Glarisegg Last chance to join!